SmileyFaze, do you have a collections per style? Nope.....I just saw what I saw in my travels, & grabbed whatever ones I saw fit to keep. Then I just lumped them all together in a folder, & sorted them to use in my many Insert Smiley Custom Buttons for FireFox that I use to 'click' them into various forum posts. I particularly like the animated fellas.....stills don't wiggle the monkey fer me. 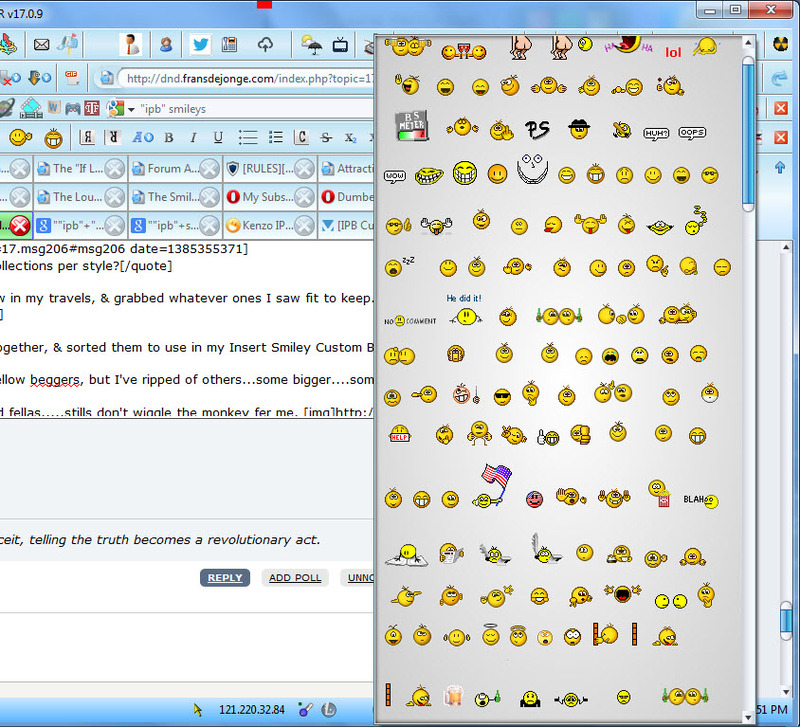 Care to share a link to the place where you can upload two icons to generate one of these smileys?